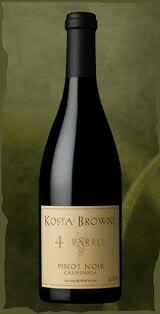 Kosta Browne, the popular Sonoma producer known for outstanding Pinot Noir, is getting a new home next year. According to staff, construction will begin soon on a new winery at the Barlow, a complex for food, wine, art and wellness in the center of downtown Sebastopol. Located in the former Barlow Apple Factory, the complex is being reinvented as a showcase for local retailers and artisan producers, anchored by Kosta Browne. Scheduled to open in the autumn of 2012, Barlow’s other tenants will include Woodfour Brewing Co., Acre Coffee, Guayaki Tea, Mama Tina’s Ravioli, Bliss Bakery and a few art galleries. The location will also have parks, water features, bocce ball courts and the local farmers market.